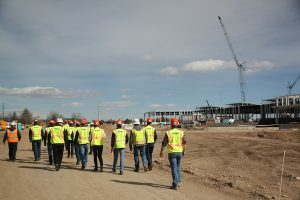 The GLCM members drove to Fort Collins, Colorado to meet with Mortenson at their Woodward Lincoln Campus project for the afternoon visit. Mortenson’s western headquarters is located in Denver, Colorado. After a private bid, Mortenson was awarded the Woodward project in Fort Collins to build a new testing facility and headquarter. 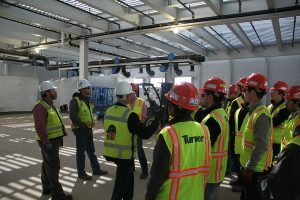 The Woodward Lincoln Campus is a $125 million project consisting of the Industrial Turbomachinery System (ITS) and the Headquarters building (60,000 SF) totaling 351,000 square feet between the two structures. 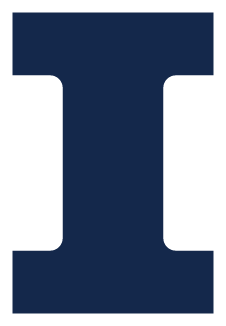 Mortenson’s customer Woodward, Inc. is an industrial controls manufacturing company that focuses in the aerospace and energy markets. Woodward began with the invention of the governor for the waterwheel back in the late 1800s. Now Woodward makes parts for jet engines, locomotives, wind power, and much more. Their idea for the Lincoln Campus at Fort Collins was to have a system to bring in material, machine it, test it, and ship out a final product in a streamline manor. Mortenson was awarded the ITS project on a design-assist basis with Woodward, Inc. and the architect Ghafari. Woodward choose Fort Collins to construct their new world headquarters and selected a 101 acre site, that was formerly the Link-n-Greens golf course. Due to the river running to the south of the project, Mortenson was tasked with trucking in 250,000 CY of soil to raise the ground of the building above the flood plain. After months of a successful partnership, Woodward, Inc. also employed Mortenson to construct their Headquarter Building on a design-build contract. 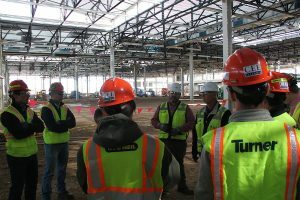 The image above is the result of Mortenson’s design-assist role in the construction of this facility. After hearing the customer’s desires, they were able to work with the architect to deliver a state of the art machining facility. The floor slab has not yet been poured, which seems atypical for a construction schedule. 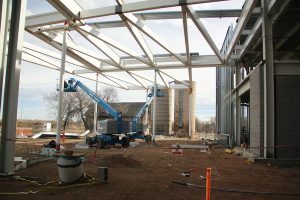 Mortenson has developed a schedule to pour the floor slab after they have all of the overhead work done, so the scissor lifts are not driving over the concrete floor. This schedule adjustment will result in a cleaner, nicer looking concrete floor for the customer. The ITS facility is going to be very open with a sustainable feel. Although this project is not a LEED project, is has many LEED aspects, such as solar panels on the roof and recycling of all the project waste. The front entrance to the ITS office and manufacturing space utilizes “pencil columns”. These are the thin vertical columns holding up the awning. In the image, the details are being protected while construction is in progress, but they have machined end caps welded onto the cylinder columns for aesthetics. The finished ITS will also house eight test bays to test all of the manufactures parts that are made at this facility before they are shipped out. The test cells are cinderblock walls that can withstand 2400-psi tests. The two floors of office space in this building will be able to look out over the shop floor and observe tests being performed and the machining done. A big challenge for the Mortenson team is the huge pick they will be performing in the upcoming days. To run the tests, two pressurized air tanks will be located in the back of house. These tanks require a 450-ton crane to place each tank. There is an incredible amount of engineering that goes into each crane pick to ensure that it is safe and the ground can withstand the force. For this pick, Mortenson has to construct a crane mat that consists of a 40’x40’ steel plate, 2 crane mats, topped with another steel plate. A fun fact for this job: the Manitowoc 450-ton crane they are using has serial number 018! Mortenson was a great host for the GLCM members. 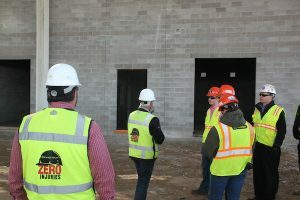 From the jobsite, we could tell how they were a family oriented team, which stems from their family-owned company origin. It was also neat to see how much emphasis is put on self-performing work on their jobsite. The team that hosted us consisted of a few new guys and some veteran guys who had been with the company for 20+ years. The path Mortenson employees follow is very career oriented and allows employees to choose their own path. 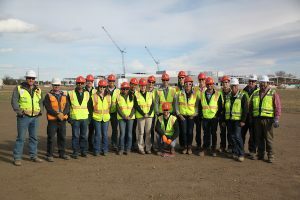 GLCM would like to extend a huge thank you to Mortenson for hosting us during our Colorado trip.